This simple cowl is made to match Janelle Master's Susie's Reading Mitts, my favorite elegant yet easy fingerless mitts pattern. Click here to save the pattern to your Ravelry library, or you may use the link below to save the PDF to your computer. 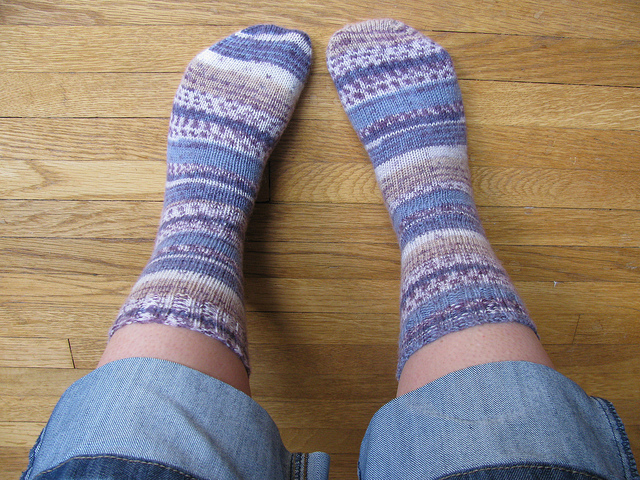 My vanilla sock recipe with a short-row heel and modified wedge toe to fit short, stumpy feet.